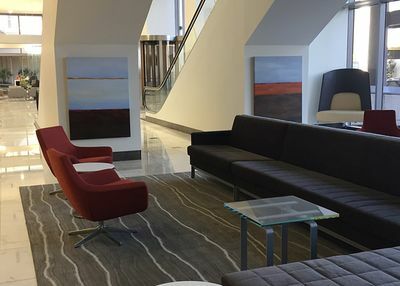 Working with another commercial client, the owner had undertaken a considerable renovation to completely change the look of their two lobbies in a downtown office building. A conscious effort was made to provide several spaces where employees could escape to or convene in throughout the day. The results were effective and impressive. In creating a modern look with a comfortable feel, there was only one component missing - art, of course! 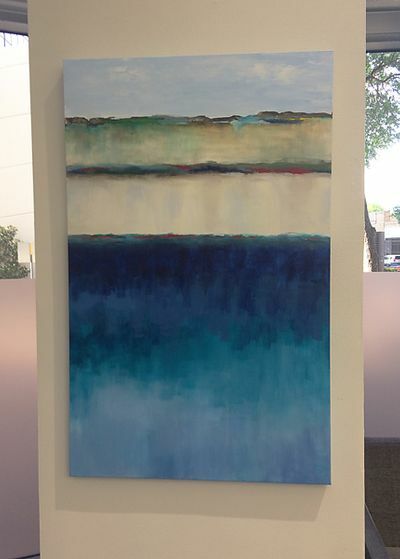 We added two large oil paintings to one seating area and a colorful acrylic piece to another. It instantly made the areas more “homey” and relaxed when you sank into the cushy furniture…Job? What job?